ca 570 - 560 B.C. Detail of Artemis depicted as the Potnia Theron (Lady of the Beasts) from the Francois Vase. 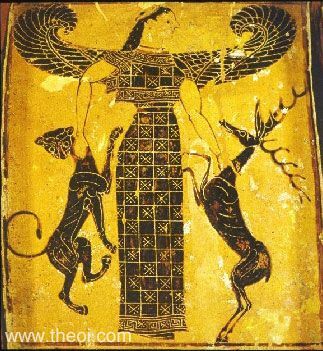 The goddess is winged and grasps a panther (or lioness) and stag by the neck.